No matter what you major in at college, I can guarantee there will always be some classes that you simply dread taking. Not all, but some. It’s just how it works. Only in an alternative universe would we be able to create classes on things we could think about for hours. Well, it’s possible now…for Harry Potter fans, that is. It seems to be a common occurrence now for universities to teach classes on the Harry Potter series. Cool, right? For Potterheads that have read the books already, it’s easy. I know some people who can recite the pages word for word. For the newbies, you’ll definitely have to read. However, everyone will get the equal chance to breakdown the novels and make deep comparisons. A sweet deal! This is the UK’s first Harry Potter themed class to nestle its way into uni, thanks to the high demand of it by just about everyone. If you’re a pupil, you’ll get to see how Harry grew based on his social, cultural, and educational surroundings. They study (but aren’t limited to) peer pressure, identity, and the hardships of adolescence. Although some followers of Christianity may have condemned Harry Potter for its use of witchcraft, this course created by Danielle Tumminio shatters those negative notions. In class you will connect Christianity to the magical book series using ideas of forgiveness, acceptance, and salvation. You may be surprised how close the link could be. While focusing on all seven novels, students will breakdown the characters, genres, and languages used within Rowling’s work. Creator Neil Randall took great pleasure in giving folks a class on something they genuinely enjoy and care about so much! If you want to dig deep into themes and symbolism, try this class on for size. What molded Harry into the wizard he became? Struggles with identity, loyalty, and loss shaped him into the character everyone knew and loved. Get ready to analyze, analyze, analyze! 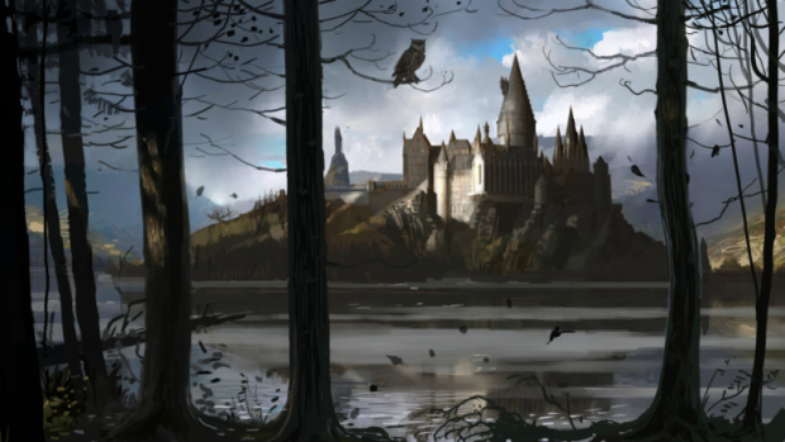 Just four novels from the Harry Potter series will be used in the course, but that doesn’t mean you’ll learn any less. You’ll spend the rest of your time tying the books back to English mystery shows. Both the books and films will be used to conclude how many solutions to the mysteries usually contradict what was originally believed in the first place. This is a running dilemma in every Harry Potter film. The title says it all. A buck, a terrier, and an otter all play the part of Harry, Ron, and Hermione’s patronus. They ward off the darkness and Dementors and protect all you love and care for. Find what truly lies within the magic of yourself and identity. Real or fantasy, every college freshman needs a protector when sailing through the waves of life. As straightforward as it gets, this course unravels the tricky timelines that pushed the development for each character. How do these separate events tie each witch and wizard together? Repeating themes like friendship, racism, religion, and unconditional love. Literature takes a turn for science in this one. Students sign up to find the scientific means behind the magic. How does quidditch play out in accordance to physics? All those genetics of wonderful, magical creatures have some reality within them. Science takes the crown for this course. Those are just a few of the open classes you could take to study the book that is loved across the world. No, you won’t be enrolled in Hogwarts, but it’ll sure as hell feel like it.